An annual golf tourism event is expected to generate a record amount of business when it takes place in Portugal in November. The International Golf Travel Market 2012 (IGTM) will have more buyers and exhibitors than ever before, who will do business through pre-scheduled appointments and networking opportunities at the meeting in Algarve. More than 250 buyers from 38 countries have registered for the event, which is 75% sold out. Exhibitors will represent golfing opportunities as far afield as Ireland, Brazil and Tunisia, as well as other destinations across Asia, Europe and the Americas. The iconic Pebble Beach Resorts in California, used as the venue for the US Open Championship on numerous occasions, will exhibit for the first time. Other exhibitors include Golfbreaks.com and Kuoni Golfreisen. Peter Grimster, IGTM exhibition manager, said: "This year's IGTM looks set to break all records. "We are on course for the largest ever attendance, and the ratio of buyers to sellers is set ideally for destinations to optimise business with golf tour operators during the four days." 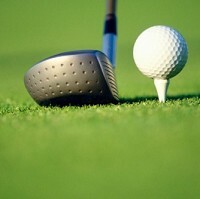 The event underlines the growing popularity of golfing holidays. However, people heading off on such a break should remember to arrange sports travel insurance first. To this end, you can get cover for more than 75 sports and activities with World First.